It is our great pleasure to welcome you to the 11th edition of COMSNETS to be held from January 7 - 11, 2019 in Bengaluru. COMSNETS has grown from strength to strength over the past decade and the 11th edition promises to be the largest yet. We have arranged an exciting five-day program for you at the COMSNETS traditional venue, The Chancery Pavilion, Bengaluru. The main conference spans three days from January 4th through 6th and it is adjoined by two days of workshops. Each of the main conference days begins with keynotes by a distinguished researcher: Rakesh Agrawal, Data Insights Lab, USA on the 8th, Anja Feldmann from MPI-Inf, Germany on the 9th and Gautam Shroff from TCS Innovation Labs, Delhi, India and Jan Holler from Ericsson Research, Sweden on the 10th. The main conference program is organized by Technical Program Committee (TPC) co-chairs, Suman Banerjee, Rajesh Krishna Balan and Ranjita Bhagwan. They along with the TPC have carefully selected 46 papers from the open call for presentation. Furthermore, they have assembled invited talks by 9 well known researchers: Saikat Guha, Kassem Fawaz, Swarun Kumar, Falko Dressler, Giovanni Pau, Aditeshwar Seth, Monisha Ghosh, Ajit Rao and Giridhar Yasa. The conference program also includes panel discussions organized by Somali Chaterji and Akshay Nambi, poster sessions organized by Antony Franklin and Swarun Kumar, graduate forum organized by Bharadwaj Satchidanandan and Rijurekha Sen, a demos-and exhibits session organized by Amit Kumar Saha and Santashil PalChaudhuri, and a mentoring session organized by Nova Ahmed and Nikhil Karamchandani. These activities provide attendees diverse ways to participate, and truly demonstrate our commitment to fostering wider participation by students and young researchers. The organization of the conference is supported by local arrangement co-chairs Vijay Gabale, Raj Sharma and Pooja Kadambi, publications chair Sandip Chakraborty, travel grants chair Malati Hedge and S.V.R Anand, web chair Abhijit Mondal, IT and operations chair Ananda Krishna, publicity co-chairs Binbin Chen, Karthik Dantu, Kirill Kogan, Jongwon Yoon and Vivek Bohara, registration co-chairs Chandrika Sridhar and Ashwini Sampath, and finance co-chairs Chandrika Sridhar and Raj Sharma. The main conference is adjoined by seven workshops: Social Networking workshop organized by Saptarshi Ghosh and Rishiraj Saha Roy, Wild and Crazy Ideas (WACI) workshop organized by Abhinav Kumar and Prem Prakash Jayaraman, Intelligent Transportation Systems (ITS) workshop organized by C. S. Shankar Ram and Lavanya Marla, NetHealth workshop organized by Rohan Dsouza and Abhishek Appaji, MINDS workshop by Vijay Gabale and Vinay Kolar, LastMiles workshop by Prashant Misra and Samra Shailendra and the Blockchain workshop by Vinay Ribeiro and Sayandeep Sen. The entire group of workshops have been overseen by the workshop chairs Prashant Misra and Vijay Gabale. The MINDS, LasMiles and the Blockchain workshops are the three novel introduction to COMSNETS 2019 that had its inception from the public demand that emerged in COMSNETS 2018. Furthermore, as is traditional, Mobile India, organized by V Sridhar and T. V. Srikanth, is also co-located with the conference. In this edition, we are introducing ​COMSJOB​: a focused event that seeks to bring together top companies in the field with the best and brightest students (BTech, MTech, PhD and Post-Doc) and post-docs from COMSNETS community. COMSJOB aims to assist with both open full-time positions, and as well as fixed-duration internships. Our sponsorship chairs, Giridhar Mandyam and Rajeev Shorey have managed to raise a record sponsorship amount for the conference thanks to generous support from our corporate patrons: platinum patron Cisco Systems, gold patrons Qualcomm, silver patrons Microsoft, J. P. Morgan and Ericsson, and bronze patrons Google, IBM research, InnAccel, Robert Bosch GmbH, Singapore Management University, Flipkart, ABB, The Lemelson Foundation, Consensys, Adobe and Humanitarian Activities Committee. 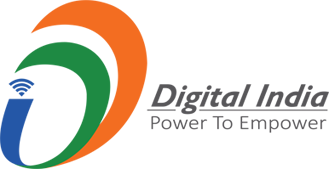 We are also thankful to our humanitarian non-profit partner Aarogya Seva. We are also grateful to our publication partner Springer, our Wi-Fi partner MoJo networks, online media partner YourStory, and our university partners: IIT Delhi, IIT Bombay, IIT Hyderabad, IIT Madras, IIT Kharagpur, IIT Kanpur, IIIT Hyderabad, IIIT Delhi, IIIT Bangalore, IISc Bangalore, UPenn and SMU. We also thank our international advisory committee, Tulika Pandey, Pamela Kumar, Zartash Afzal Uzmi, Prashant Pillai and Dah Ming Chiu. The success of a conference requires hard work from a number of volunteers and we express our thanks to them. 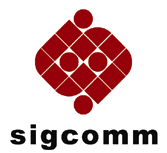 COMSNETS 2019 is technically co-sponsored by the IEEE Communications Society, and is presented incooperation with ACM SIGCOMM, ACM SIGMOBILE, Digital India, ITRA, and the Ministry of Electronics and Information Technology, Government of India. The travel grants provided by ACM SIGCOMM, ACM SIGMOBILE, LRN Foundation and the COMSNETS Association enabled many students to attend the conference. We are grateful to all of these organizations for their support of this worthy cause. Last but not the least, we thank our steering committee, Uday Desai, Giridhar Mandyam, Rajeev Shorey and G. Venkatesh. We would especially like to call out the dedication of Giridhar Mandyam and Rajeev Shorey who go above and beyond the work of steering committee and dedicate their heart and soul to sustaining and improving COMSNETS year after year. Welcome to COMSNETS 2019! The final technical program this year consists of 46 contributed talks, together with 9 invited talks from top researchers and industry thought leaders. As in past years, all the submissions will be published digitally in the IEEE Xplore library as the proceedings of COMSNETS. In addition, like last year, extended versions of the selected top papers will be published in a special COMSNETS 2019 Highlights post proceedings in association with Springer LNCS. A number of travel grants have also been made possible through a SIGCOMM Grant, the Lalitha and Ravindra Nath Foundation, and the COMSNETS association. COMSNETS 2019 received 105 submissions from authors located in 15 different countries and the final program was chosen through a rigorous reviewing process that involved nearly 80 TPC members from academia and industry from all over the world who provided peer reviews for the submissions received. All papers were sent to at least three reviewers, and, conflicts were resolved by appointing a fourth referee wherever necessary. The whole process was mentored by the TPC chairs. We are grateful to all TPC members for their tremendous effort in helping us put together a strong technical program. The accepted papers have been divided into 13 sessions covering a wide-range of topics in communications and networking. Besides the main program, the conference includes 4 workshops on related topics of Blockchains, IoT and Big Data, Machine Intelligence, Social Networking, Intelligent Transportation Systems, “Last Mile” Challenges, and Networked Healthcare Technologies. The main conference also features three cutting edge panels on interactions between humans and machines, the role of AI in healthcare, and in the potential use of blockchains in the Indian economy. The program also includes engaging poster and demonstration sessions as well as a Graduate forum. Finally, we wish all the COMSNETS 2019 delegates a very pleasant and productive stay in Bangalore in January 2019! Welcome to COMSNETS 2019 Poster Session! We take this opportunity to thank all the authors who have submitted their work to COMSNETS 2019 Poster Session. The COMSNETS 2019 Poster Session consists of 34 regular posters showcasing preliminary/ongoing work in a variety of topics in networking and communication systems domain. This year, we have received a total of 57 submissions for the poster session. We sincerely thank all the TPC members and the anonymous reviewers for their timely help in the reviewing process. We invite all the conference delegates to attend the poster session which would be presented in two sessions (one on 8th and and one on 9th of January) and interact with the presenters on their ongoing research work. We hope that it will be a stimulating environment for all the participants of COMSNETS 2019. During the poster session, three posters will be selected for best poster awards by a jury. Looking forward to seeing you all at the poster session. Building on the success of past years, we are again holding the mentoring session this year as part of COMSNETS. This is a unique opportunity for undergraduate and graduate students (mentees) to meet up, network and seek help from academic and industrial professionals (mentors) in one-on-one sessions. Each mentee will be matched with one or more mentors based on their research interests. Close to twenty five leading experts, from within India as well as from abroad, were invited and have kindly volunteered to participate as mentors in the program. Similar to previous years, it again promises to be a really fruitful event for the mentees. The Graduate Forum of the Eleventh International Conference on Communication Systems and Networks (COMSNETS) provides graduate students in early stages of their research program to showcase their preliminary results and obtain feedback from seasoned researchers in the field. A routine advise given to fresh graduate students is to get exposed to cuttingedge research on a broad range of topics as frequently as possible beginning from the very early stages of their careers. An important component of this is to attend conferences on areas allied to the researcher’s areas of interests. The Graduate Forum of COMSNETS 2019 allows early-stage graduate students to not just attend the conference, but also present their results, preliminary as they may be, in the conference and obtain feedback from the broader research community. Consequently, unlike the regular sessions, the focus of the Graduate Forum is not so much on the comprehensiveness of the results, attention to detail, or even technical rigor, as it is on the high-level ideas and the promise that they hold in yielding a fruitful research direction. This year’s Graduate Forum is composed of nine presentations, with each presentation scheduled to last for a duration of ten minutes. The presentations will include time for questions and feedback from the audience. The Graduate Forum will be presided over by a judge, based on whose feedback, a “Best Graduate Forum Presentation” award will be granted. As in the previous editions of the Graduate Forum, all papers presented will be included in the conference proceedings, unless the authors choose otherwise. It is our pleasure to thank the evaluation committee for taking the time amidst their busy schedules to review the Graduate Forum submissions and provide valuable feedback to the authors. We would also like to thank Prof. Rajeev Shorey for his stellar leadership, and for providing us with the opportunity to organize this session. We are introducing the inaugural series of COMSJOB in COMSNETS 2019 ! COMSJOB is a focused event that seeks to bring together top companies in the field with the best and brightest students (BTech, MTech, PhD) and post-docs from COMSNETS community. COMSJOB aims to assist with both open full-time positions, and as well as fixed-duration internships. We have 9 industry representatives (ranging from large scale enterprises to eminent startups) who would be speaking to the participants about their respective companies, the types of students they are looking for, and the best way to reach them for job prospects. On behalf of the organizing and steering committee, Prasant Misra and Amit Saha invite you to be part of this event on the 7th of January 2019 at Hotel Chancery Pavilion in Bangalore, India. LastMileS @ COMSNET 2019 is a cross-cutting forum that will bring together researchers, practitioners, smart-city stakeholders, and thought-leaders to present their latest research and innovations in the area of an appropriate “last-mile” communication, networking, and data transfer framework; with a deep focus on enabling digital transformation and harmonization of smart infrastructure to help bring down the CAPEX and OPEX in the upcoming smart cities deployments around the world. 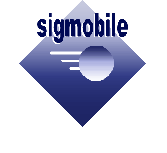 We have a great program in place: 4 peer-reviewed research papers from leading institutes and R&D labs across the globe; 2 keynote talks by eminent technology practitioners; 7 invited talks from distinguished leaders in industry and academic on: 5G, Low Data Rate Networks, Automation, Artificial Intelligence, Messaging Technologies, Information-Centric Networking, Edge Computing, and Mobility. We also have a special session on New Perspectives, where a power-packed panel will debate over various aspects related to "Standardization and Deployment Challenges in Last-mile Systems for Emerging Markets". On behalf of the organizing and steering committee, Prasant Misra and Samar Shailendra invite you to be part of this LastMileS experience on the 7th of January 2019 at Hotel Chancery Pavilion in Bangalore, India. We are happy to welcome you to this year's Social Networking Workshop (https://www.comsnets.org/social_networking_workshop.html), organized along with COMSNETS 2019. This workshop strives to bring together researchers from academia and industry to address the fundamental and technological challenges associated with the rapidly evolving domain of social networks, and to facilitate cross-disciplinary discussion of relevance to social networking. We have assembled a strong set of research presentations that, in conjunction with excellent invited talks, have the ingredients for making an intellectually stimulating workshop. This year, the special theme for the workshop is "Social Media and Health". Web and social media analytics have long been used to monitor, study, and perform interventions in the health domain. Traditional usage includes tracking spread of diseases and epidemics, such as Zika and Ebola. In recent years, social media is being used in many novel healthcare applications, ranging from detection of non-communicable diseases (e.g., substance abuse, depression), to studying the demographics of affected population, to tracking spread of health-related misinformation through social media. This year's workshop attempted to assemble thought leaders on the theme, through the invited talks. The 2019 Workshop has four invited talks, out of which three are related to the workshop theme. Dr. Amarnath Gupta (University of California at San Diego, USA) will talk on "Understanding Patterns of Awareness -- Towards a Social Media Analytics Experiment for HIV/AIDS and Treatment". Dr. Joydeep Chandra (IIT Patna, India) will talk on "Investigating the Drivers behind Spreading of Drug Abuse Contents over Twitter", while Dr. Janardan Misra (Accenture Labs, India) will deliver a talk on "Social Media Analytics for Mental Health: Opportunities and Challenges". Also, Dr. Girish Keshav Palshikar (TCS Research, India) will be speaking on "Frauds and Crimes in Online Social Networks: A Review". This year's workshop received 13 paper submissions, out of which 6 were accepted after a rigorous review process, with three expert reviewers being assigned to each paper. The accepted papers are on a variety of topics, ranging from models for generating scale-free networks and model checking for dynamical processes on networks, to applications such as detecting informative Tweets during disasters, detection of rumors, and optimizing viral marketing for demand response. We would like to convey our heartfelt gratitude to all members of the Technical Programme Committee who helped us in the review process, and all our invited speakers. We also thank the COMSNETS organizers for giving us the opportunity to organize the workshop. If you have any feedback about the workshop, please feel free to convey this to us either in person at the workshop or electronically. MINDS @ COMSNET 2019, is the first machine intelligence forum under the umbrella of COMSNETS to bring together researchers and practitioners in machine learning and systems community. In the first edition of MINDS workshop, several leading researchers are due to present their latest achievements and innovations in the area of deep learning, brain-inspired learning, machine learning, and intelligent networked systems. We have a great program in place: 6 peer-reviewed research papers from leading institutes and R&D labs across the globe; 1 keynote talk from an eminent computer scientist; 5 invited talks from industry leaders and startups in: Big Data and Cloud Computing | Robotics | Artificial Intelligence | deep learning | intelligent networks. We also have a special session, a tutorial, on the explain ability of machine learning models, where several key aspects of making machine learning and deep learning models interpret able and explainable will be discussed. On behalf of the organizing and steering committee, Vijay Gabale and Vinay Kolar invite you to be part of the MINDS experience on the 7th of January 2019 at Hotel Chancery Pavilion in Bangalore, India. Healthcare is one of the fastest growing sectors in India, and the Indian government has aggressive plans to develop India further into a global healthcare hub, leveraging its relatively lower priced treatment options. It presents a great opportunity for the growth of the entire health industry – medical devices, healthcare providers and pharmaceutical manufacturers. However, we see a gulf between the high-quality healthcare that makes us a hub for medical tourism and at the other extreme, Indians struggling to access basic health services. Developing countries such as India are confronted with a host of daunting challenges. We find ourselves straddled between old world infectious diseases and new age non-communicable epidemics. Cardiovascular diseases, cancers, chronic respiratory diseases, diabetes, and other NCDs are estimated to account for 60% of all deaths in India, making them the leading cause of death, ahead of injuries and communicable, maternal, prenatal, and nutritional conditions. Non-communicable diseases affect not only health but also productivity and economic growth. As India ages, it is likely to find the burden even more substantial. While the overall population of India will grow by 40% between 2006 and 2050, the population aged 60 years and above will increase by 270%. Elderly Indians will make up 20% of India's population by 2050, which means healthcare costs could jump substantially as a significant number of people will need frequent hospitalisations and regular follow-up and preventive care. However since independence despite the low healthcare spend and enormous population we have made massive strides in life expectancy, maternal and infant mortality, HIV and tuberculosis. We have always found ways to make things affordable but healthcare is a different beast. India's contribution to affordable healthcare goes much beyond being a pharmacy of the world. It extends to affordable innovation which goes to the core of ensuring a global right to healthcare. Helped by a significantly lower cost base that supports a large talent pool of scientists and engineers, India's research engine is now driving a new model of innovation that draws on the philosophy of affordable access. With returns on investment plummetting to unsustainable levels in the West, companies are now rapidly leveraging India's “affordable innovation” platform. However, affordability is not simple to implement; it requires creative, out-of-the-box thinking. To deliver affordability, we need innovation— be it devices, drugs or services. It is only by creating innovation in technology, strategies, practices and policies that we can take on local and global healthcare challenges. Every year, the NetHealth Workshop brings together a multi-disciplinary audience from across the healthcare spectrum to share their ideas and break the conventional silos that exist in this field. Net Health is centred around people and technology that are changing the face of healthcare. This year’s NetHealth will cover healthcare specific topics like Artificial Intelligence, Bio-entrepreneurship, Tele-medicine, Nanotechnology, 3D printing, and Investment & Incubation opportunities as well as ground-breaking academic research. This day-long workshop is for those working within the sphere of healthcare, be it clinicians, students, engineers, designers, innovators, policymakers or regulators, industry experts or anyone else working in support of healthcare. We hope platforms like NetHealth can bring about innovation in every facet of healthcare so that no one in India lacks access to the latest that the ever-changing world medical technology has to offer. We welcome you to the first Blockchain Workshop at COMSNETS 2019. Blockchain (and other distributed ledger technologies) have caught the imagination of the entire tech industry in recent times. In this workshop, we aim to learn more about the various facets of Blockchain technology. To this end, we have assembled a program which will inform us about various innovations in Blockchain technologies, as well as experiences from applying Blockchain to address real world problems. As part of our workshop program, we have 6 peer-reviewed research papers from leading institutes and R&D labs across the globe; 2 keynote talks, one by an eminent computer scientist and another by a leading voice advocating Blockchain in Indian Governance sector. We also have 2 invited talks from reputed academicians. We also have two special sessions, where industry experts will provide a relevant tutorials on Ethereum and Hyperledger Fabric, two of the most pre-eminent Blockchain technologies. We are honored to have the opportunity to facilitate and organize the workshop, and look forward to your engaging participation on the 7th of January 2019 at Hotel Chancery Pavilion in Bengaluru!